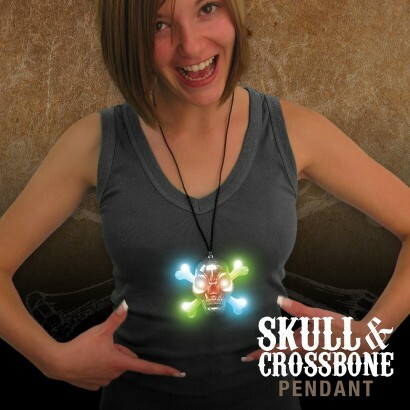 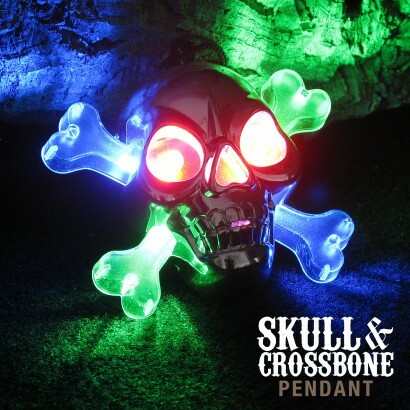 With light up eyes and flashing bones, the Flashing Pirate Necklace is a swashbuckling treat! 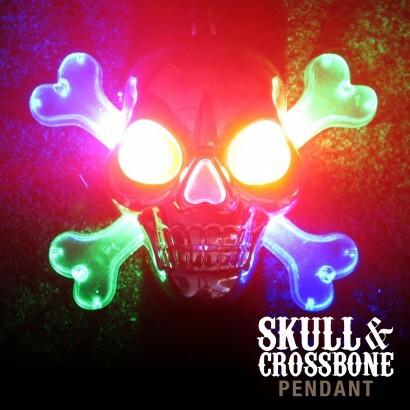 Colourful LED's light up the eyes and bones of the pirate pendant in three cool modes; strobe, fast flash and slow flash casting superbright light. 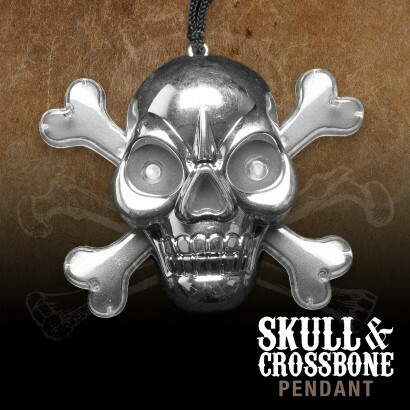 Set on a break away safety cord, this large pendant is perfect for pirate parties and more!